Patrick Springs Primary School has been awarded a $1,000 grant in the Community Greening and Beautification Category. Patrick Springs Primary School will use the KVB grant to continue to improve and expand their Bowl of Lettuce School Garden. SW Piedmont VA Master Naturalist WINS $1k! 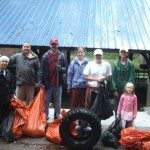 Southwest Piedmont Virginia Master Naturalist Chapter has been awarded a $1,000 grant in the Beautification and Community Greening Category. 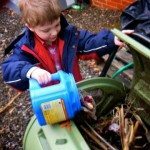 @KeepVABeautiful gives away the 4th of 30 grants! 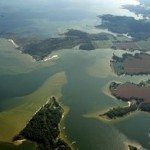 James River Association WINS $1,000 Grant! James River Association has been awarded a $1,000 grant in the Beautification and Community Greening Category. The KVB grant program focuses greater resources and attention on individual localities throughout the Commonwealth and how they are addressing the issues of litter prevention, recycling, waste reduction, beautification and education. 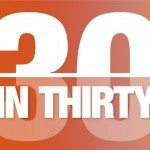 KVB Announces the “30 IN 30” Grant Program! 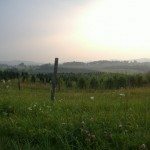 In honor of Earth Month this April, KVB will be giving a $1,000 grant daily to deserving groups and organizations to help fulfill our mission..
How will you help clean up Virginia in 2011? Each new year, we all make our resolutions. What’s yours? My goal is to clean up a little bit of Virginia every day. “This is a very historic moment in the history and the future of the Chesapeake Bay,” said Shawn Garvin, administrator of the EPA’s mid-Atlantic region.